My last day in Berlin was to be devoted to the Gemaldegalerie, the museum holding one of the largest European paintings collections in the world. It turned out to be only a fifteen minute walk from our hotel which gave me the opportunity to go walking and exploring the streets of Berlin, one of my favorite activities in an unknown city. My ramblings took me to Martin-Gropius Bau, a building I had noticed as we had passed by in the taxi twice the day before. The inside of this exhibition hall was just as impressive as the outside. There was a very pleasant cafe and an incredible book store. After Martin-Gropius Bau, I just walked and took pictures till I reached the Gemaldegalerie. Finally I reached the Gemaldegalerie and lost myself in the art for many hours. We arrived in Berlin right around lunch time. There was no question as to what we were going to have for our first meal (and maybe every other meal after this one too...) It may be due to the effects of his German education but my husband is always looking for a good knockwurst. So when our friend picked us up from our hotel we immediately inquired as to where we can have the best knockwurst in the city. After looking at us with uncomprehending eyes, he told us he was going to take us to 'the' place in Berlin for fast-food and we would have our choice between a currywurst or a chicken doner. We told him that in no uncertain terms were we going to have doner, having just left Istanbul, nothing could compare to what we had already had there. Were we ever wrong? We got out of the taxi at a busy city street right by the Mehringdamn U-Bahn (subway) station, we noticed two very long lines almost right next to each other. 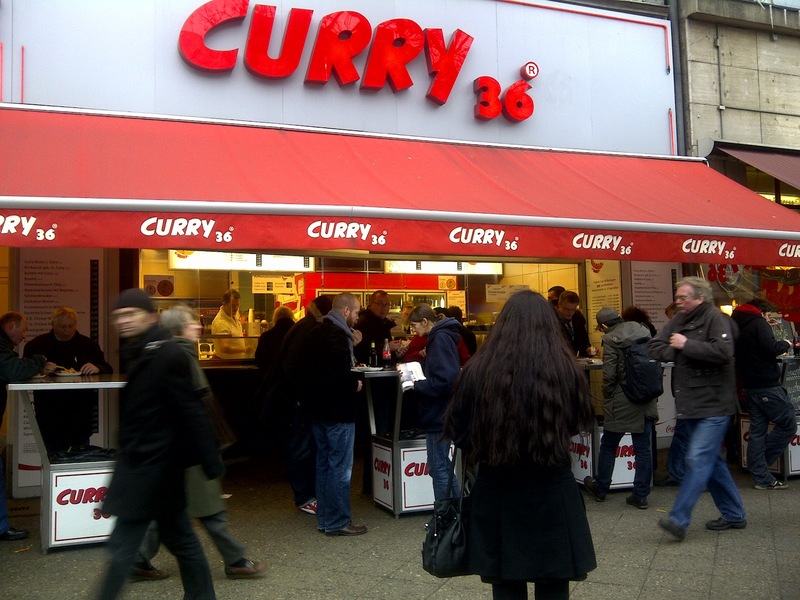 Our friend pointed us in the direction of Curry 36, saying this was Berlin's very popular and famous currywurst before adding he would be waiting in the other (longer) line for Mustafa's Gemuse Kebap. When it comes to waiting in a long line for street food, there seems to be an undeniable appeal and a strange curiosity to what the big deal is all about. 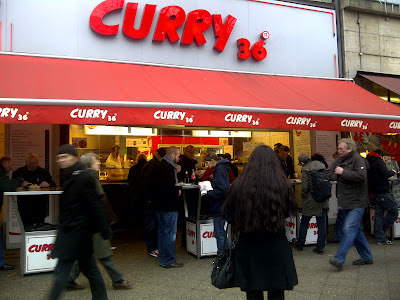 So, we separated into two groups and three of us went to wait in line for Curry 36 while the other two went to get in line for Mustafa's Gemuse. 1. 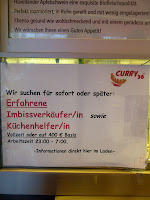 Currywurst is a specialty of Berlin and I did not appreciate it too much. 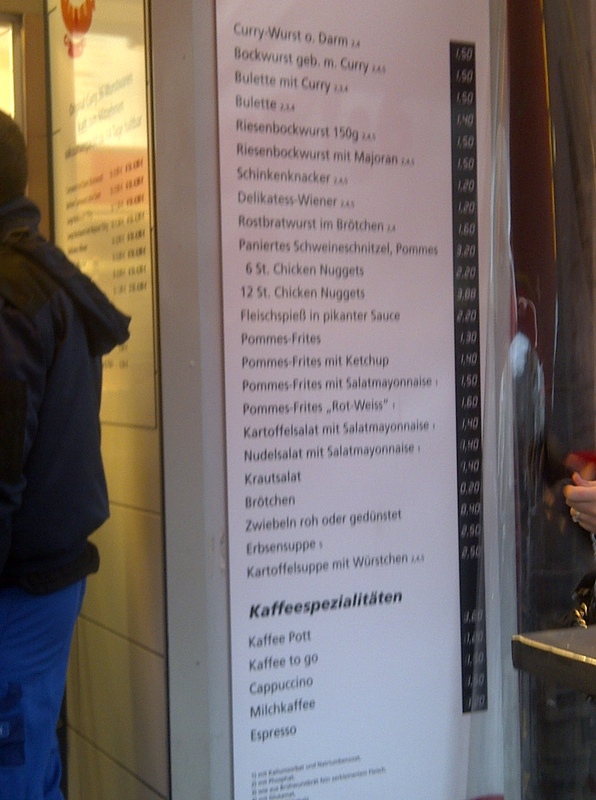 But, luckily they also has knockwursts which were excellent plus the potato salad they served with their wursts was 'just perfect' according to my husband. I realized the reason for their potato salad being so perfect was the mayonnaise they used. German mayonnaise is a lighter, more delicious version of what we are used to in the States. 2. 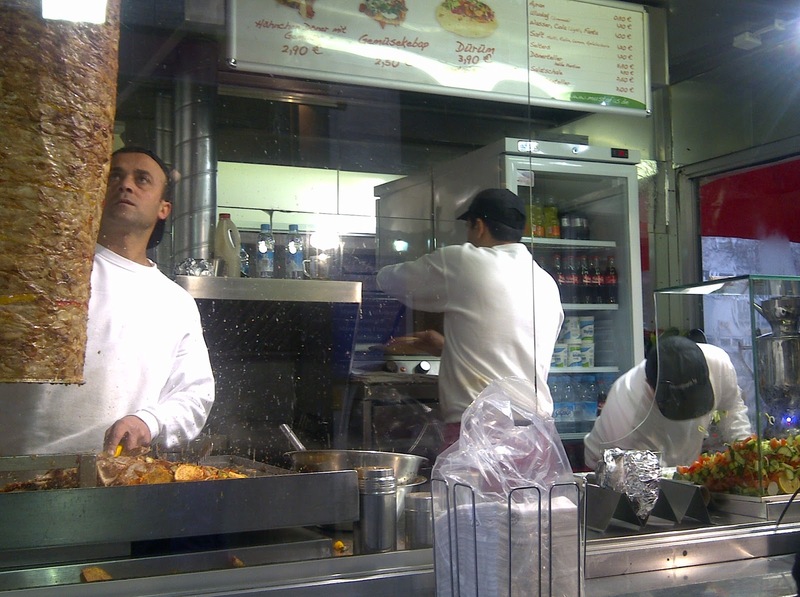 Mustafa's Gemuse Kebap is something out of this world, that is worth going to Berlin for. Gemuse means vegetable in German; the reason this kebap is called gemuse kebap is due to having vegetables within the layers of chicken that is stacked up on top of each other to make the doner kebap. But the secret is not only in the vegetables but also the sauces they put on top of the sandwich. This is something that should not be explained but just experienced. All I can say is that I highly recommend it and would go back to Berlin, if not for anything else, just for this Kebap. While searching to see if I could find information on this phenomenon, I found Mustafa's very original and amusing website and YouTube video. 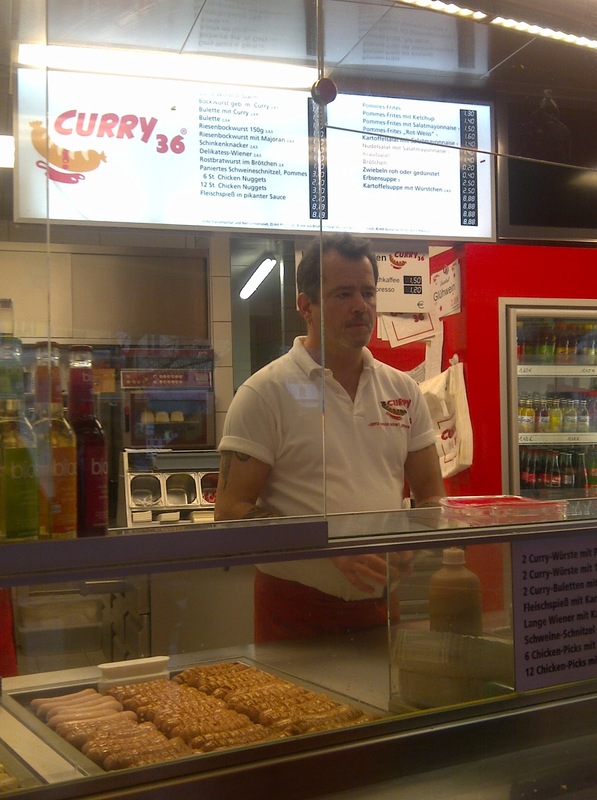 Both Curry 36 and Mustafa's Gemusekebap are both exceptional street food worthy of any self respecting foodie's attention. 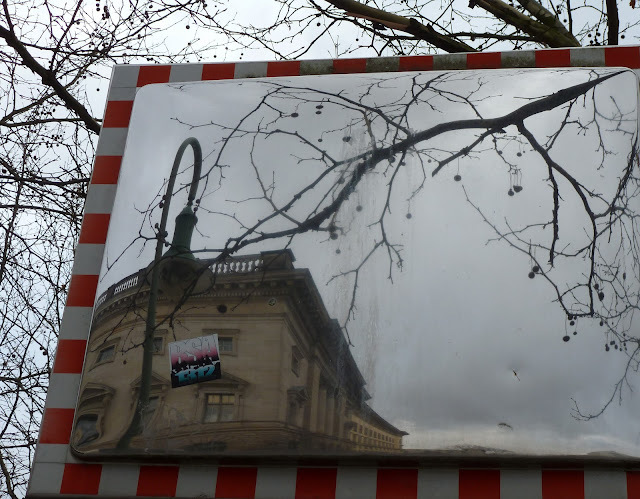 Berlin, the quintessential urban environment, young, vibrant, cosmopolitan and with over 170 museums and galleries, was a stopover I was really looking forward to. The Etap Hotel in Postdamer Platz, where we stayed was an incredible deal for a clean, acceptable, hotel room in a fabulous location and with Air Berlin's very reasonable prices to New York, a little getaway to Berlin became a very attainable objective. 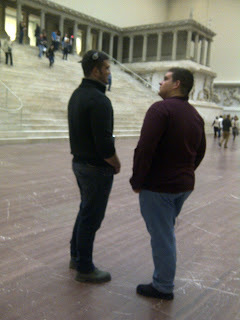 Since we only had two days and I was mostly interested in their museums, I can only write about my brief experience. One of the top items on my "100 Things To Do Before I Die" list was to see the Pergamon museum in Berlin. Being of Turkish origin, this museum that is made up of artifacts that have been displaced from the country of their origin, has always caused me some fascination. After many years of dreaming about it, finally being able to experience it in person, if such a thing is possible, was more than I had expected. The amazement started with the institution's location - it out the museum is actually situated on Museum Island. This island has five of the most significant museums in Berlin. Even thought time was limited, we were able to fit in three of them in one day, since Thursday evenings the museums were open late. The Pergamon museum is not only the home of the Pergamon Altar and Market Gate of Miletus but also the Ishtar Gate of Babylon from 6th century BC. The experience of this museum is so singularly unique that my son's declared seeing anything after the Gates of Ishtar would be anticlimactic. I still convinced them to accompany me to the Alte Nationalgalerie (Old National Gallery) with hopes of finding some of my favorite German Romantic artist's works. Although I couldn't find any of the works I was looking for by the Nazarenes, Caspar David Friedrich's collection made up for the loss. After this I was on my own, so I took a very brief tour of the Altes Museum which houses the classical antiquities collection. Due a lack of time and energy, I only lingered on the first floor, focusing mostly on their classical Greek collection. This concluded our first day in Berlin. I just wish I could have gotten an earlier start and explored the other museums on museum island as well. That is going to have to be for another time. The hotel was right around the corner from the remaining gates of the old train station. It was a great location, most of our destinations being only around a 10 Euro taxi ride away. Postdamer Platz Arkaden, a major shopping center is only a seven minutes walk. The trip to get to the restaurant was half the fun since it is situated in an area that is full of shops for auto spare parts that look as if they have been there since the beginning of time. This is an old part of town that is incredibly crowded during the day and almost totally deserted at night. When we took a turn into the bowels of this unlikely neighborhood, following my husband's cryptic directions, I knew we were in for something special... Although we had no idea where we were going except in the direction of the Golden Horn, I was confident there was an extraordinary view involved with this dining experience. After a couple of turns we ended up by the water and followed the path for one block to end up in front of a lighted entrance in an otherwise dark street by a rundown, little park by the water. Arriving at night added a touch of Gothic Romance that my dramatic nature absorbed with pure delight. 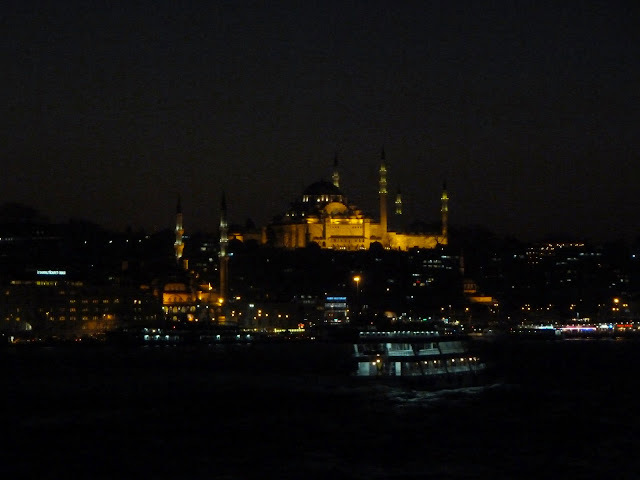 As we descended out of the car, we found ourselves on the side of the Golden Horn, directly opposite Sinan's magnificient Suleymaniye Mosque with a view of the Galata Bridge, New Mosque, Topkapi Palace to our left... Upon entering the restaurant, we had to climb three flights of stairs to reach the top floor where they had prepared a special table for us...from that moment on we only had to choose which side we wanted to face the Suleymaniye Mosque or the Topkapi Palace. The food was the usual, delicious Turkish seafood restaurant fare with one or two unique, hot meze additions. In these restaurants it is best to decide if you want to have fish or if you want to just have meze and order accordingly. Otherwise it is too easy to get carried away with the rich array of mezes and never make it to the fish course. The mezes we had at Hayat Balik were all very good but the hot mezes were especially noteworthy. Mostly, we followed our seasoned waiter's suggestions and we were not disappointed in the least. The prices were moderate - around 60TL per person including drinks but almost no alcohol ( just two glasses of raki.) There is parking available in front of the restaurant but taking a taxi is probably the easiest way to get here, especially for those who are not familiar with Istanbul. I spent most of my life living in Istanbul and no matter which geographic location I may be inhabiting it is the one place that always feel like home. Due to circumstances, I live in New Jersey these days but the exhilaration I feel whenever I get back here, is without equal. Everything tastes more succulent, smells sweeter, seems more vibrant and a mellifluous vibe seems to permeate the air of this exotic city. I had a liberating experience with Istanbul's public transportation system today. There is a huge web of buses that run to every corner of this megalopolis that I have been hesitant about using due my own ignorance. It just seemed too confusing and intimating to decipher until I was left with no choice. I was in Etiler, a neighborhood on the European side of Istanbul and I had to get to Bagdat Caddesi, the main shopping district on the Asian Side. 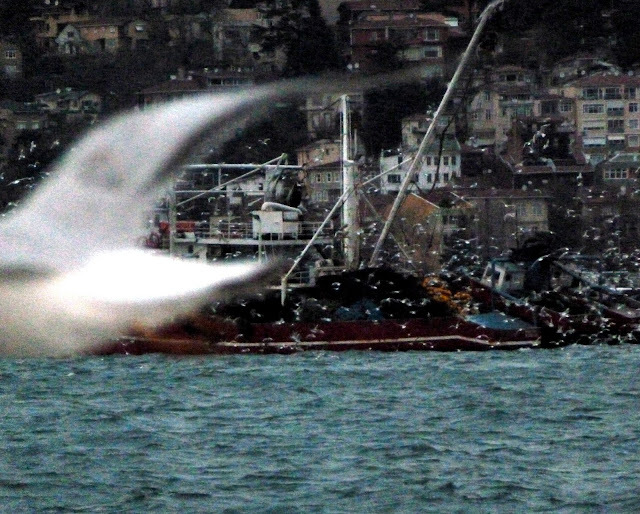 There are ferries that run across the Bosphorus...(those I can handle)... but I would have to take a bus to get to the Ferry. After intense consideration, I finally decided to try out the new Metrobus, which promises to be the fastest way to get across the bridge to the other side. The bus goes over the Bosphorus Bridge or the First Bridge as it is known to the locals to reach Sogutlucesme in just 15 minutes. 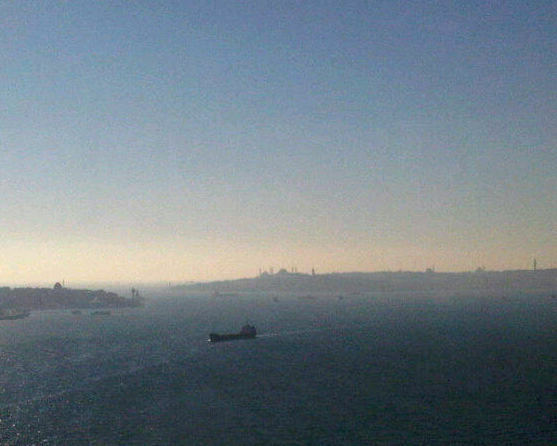 INCREDIBLE for Istanbul traffic. The ride is comfortable and the view from top of the bridge is amazing. There is a big Dolmus stop at the last stop of the Metrobus in Sogutlucesme. Dolmus is one of the greatest inventions of this country, it is a shared taxi that operates on a specific route and costs a little bit more than the bus, varying according to the travelers destination on the route. I waited for 5 minutes for the car to fill up and then arrived at my destination in 15 minutes. 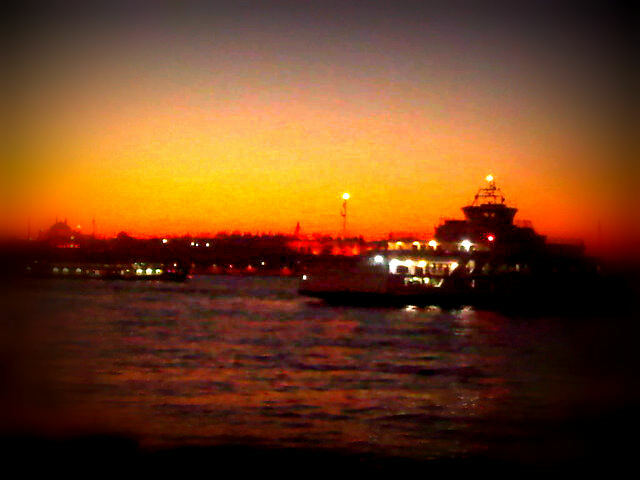 My favorite mode of transportation in Istanbul, without a doubt is the Ferry, though. I bet it is probably the mode of transportation with one of the most magnificent views in the world.... and I have pictures to prove it... After taking care of my business, my husband and I took the Car Ferry from Harem neighborhood on the Asian Side, to get back to the European Side this evening. It was glorious... the perfect ending to a perfect day... spent as a tourist in my own city, traveling back and forth with the locals but leaving with the awe of an individual who has seen Istanbul for the first time. 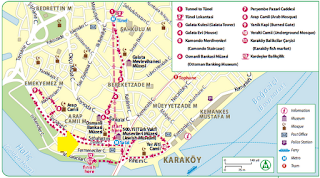 www.istanbultrails.com is a website that provides useful information on some of the Dolmus routes in Istanbul. 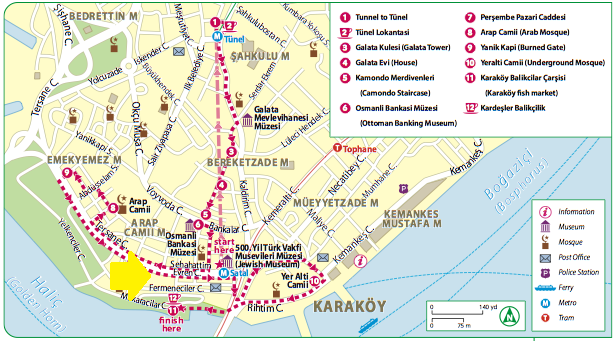 www.saridolmus.com is a site in Turkish with a list of all the routes that are available. My husband and I are always in search of the next perfect meal. Our search for new and exciting places leading us to anywhere from a hole in the wall joint to a diminutive gem of a place like Kosinitza on the Asian side of Istanbul. This was one of my husband's finds that came as a total surprise for me. Kosinitza takes its name from the little Bosphorus town in which it is situated, Kuzguncuk. It is a charming place that transports its diners to another world as soon as they walk in through its doors. The food is luscious and innovative, service exceptional, atmosphere warm and inviting. The owner's warm greeting at the door and attentiveness as he took our orders and ensured we had a pleasant dining experience, gave one the feeling of dining at a friend's house instead of out at a restaurant. ﻿ As he tells it, Ibrahim Ozyuruk , the owner of the restaurant, after years of encouragement from his friends, turned his passion for food and entertaining into a business at Kosinitza Restaurant. What sets Kosinitza apart from other restaurants for me is the special menu for soup as well as the regular menu for seafood. Since this was my first time, I let myself go and decided to try a bit of everything. Everything was excellent and my particular favorites were the Fresh Grilled Octopus and Calamari, Quatre Fromage Tagliatelle and the Jumbo Shrimp with garlic and butter... but the Bouillabaisse and Italian Fish Stew that came at the end of our meal were truly out of this world. I would go back just to eat the Bouillabaise and nothing else the next time. 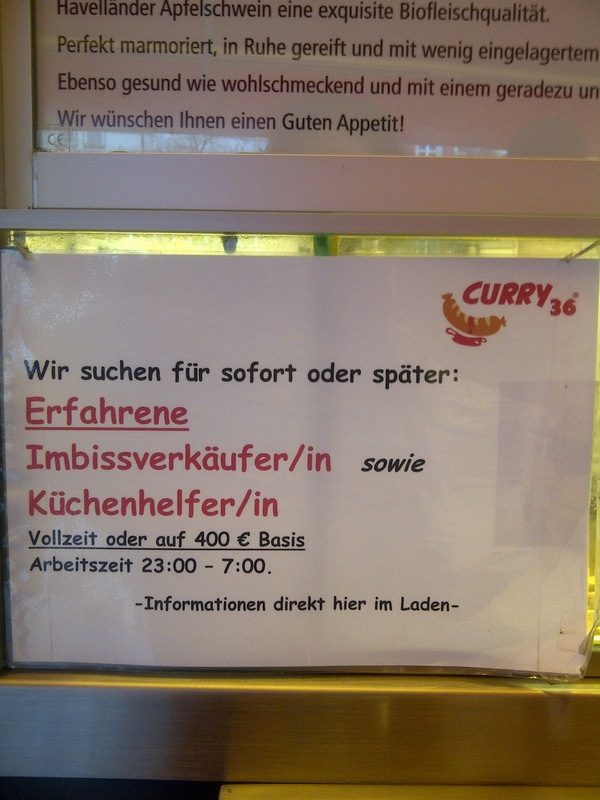 What is referred to as soup (a meal in itself actually) are supposedly for two people and have to be ordered ahead of time. Chilled white wine accompanies everything on the menu perfectly and I was told the wine list was more than satisfactory. Our disappointment at realizing they did not have chocolate souffle soon turned into ecstasy as our palates were titillated with two types of Creme Brule, classic and with berries. Our dining experience at Kosinitza, was a dreamy way of starting out the New Year. They have a nice website, which, unfortunately is only in Turkish... but the pictures can give an idea of the interior of the six table restaurant. The prices are typical of most seafood restaurants and the soups for two are in the range of 70 -95 TL but a meal in Kosinitza is truly a gourmet's delight. Well, I did my part of looking back at 2011 and sending out well wishes and a bit of decorating for the season... Then, I got on a plane and flew half way across the world to come to Turkey, so I could be here the last day of the year and be surrounded by family and loved ones as the clock struck midnight. We had a modest family gathering, no excessive drinking, just excessive eating, no unruly behavior... just wholesome family time and we were at home before it was even two o'clock. Thanks to our restraint from the night before, there was no hangover to deal with and we felt ready to get out and around Istanbul on this glorious day. 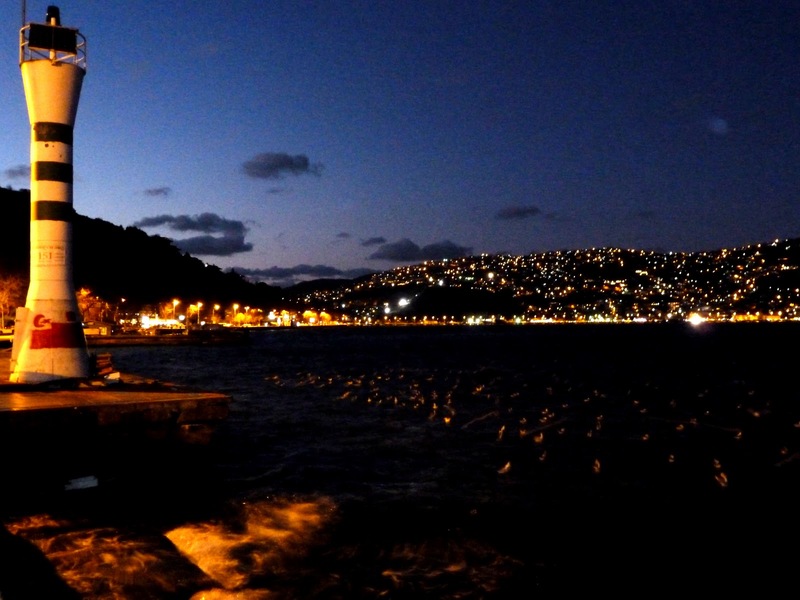 Our exploring did not take us too far and we ended up at my favorite restaurant in Istanbul, Set Balik in Kirecburnu. 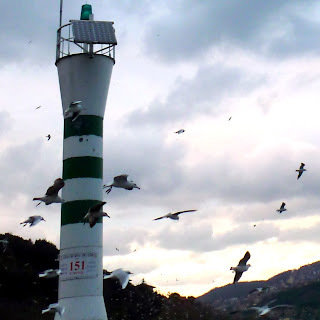 As we drove into the parking lot, we were met with a scene of a colony of seagulls flying above the Bosphorus, around the lighthouse, above a fishing boat... it was a magnificent sight to behold. Just inhaling that fresh sea air and witnessing the dance of existence in its most primitive form was an invigorating experience. Then we sat down to eat... And that's how I found myself drinking raki and eating meze before I even had breakfast on the first day of the year. The meal was fabulous as usual, the mezes were so good that we never made it to the main fish course... and then to top it all of with Turkish coffee, it was just too perfect for mere words. But for me it was the whole experience that was so precious... here I was in my own gorgeous city, enjoying a meal like none I can ever find in anywhere else in the world, sitting across my husband in a restaurant by the Bosphorus. And we were going to spend ten days seeing family and friends, relishing all that Istanbul has to offer before we have to return to reality. 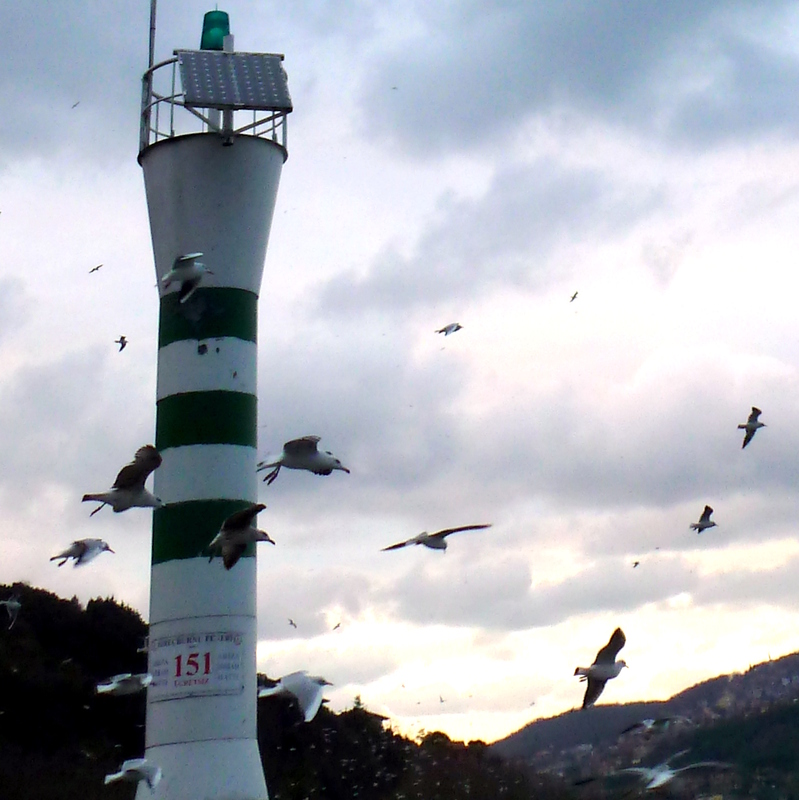 As I pondered my reality back in the States I likened myself to those seagulls flying above the fishing boat. Most of us are like those birds, flying in packs, spending our lives in search of food, education, comfort, a better future... and if we can live our lives in consciousness, maybe we can take a break to soar freely up in the skies every once in a while. As the Great Rumi said "You were born with wings, why crawl thorough life?" This will be my motto for 2012.